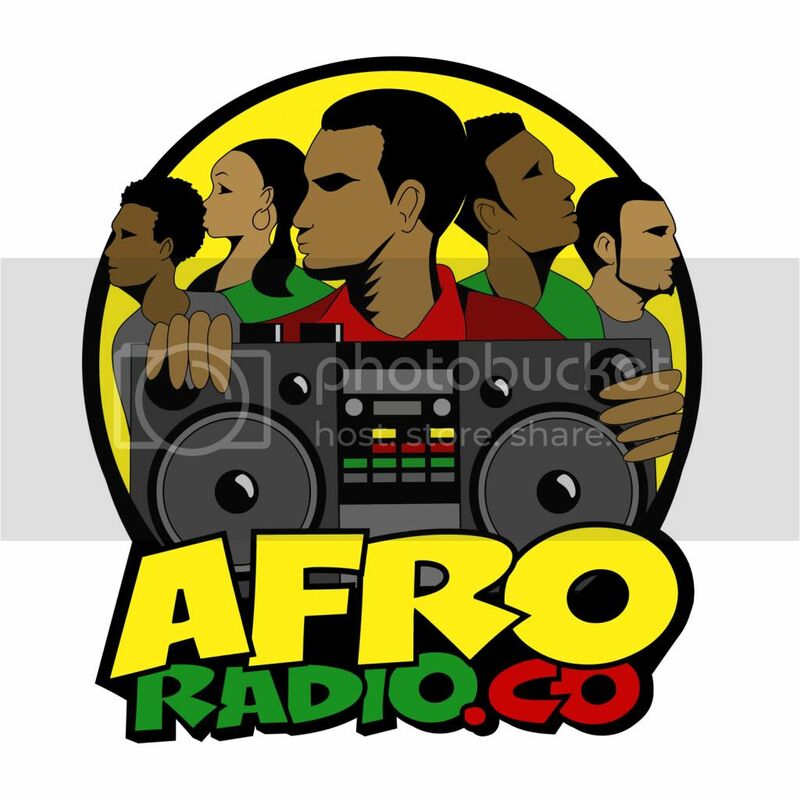 Upcoming Event To Check Out: Coast 2 Coast Convention 2014 | BlackRadioIsBack.com - Official Blog of the Syndicated FuseBox Radio Broadcast! 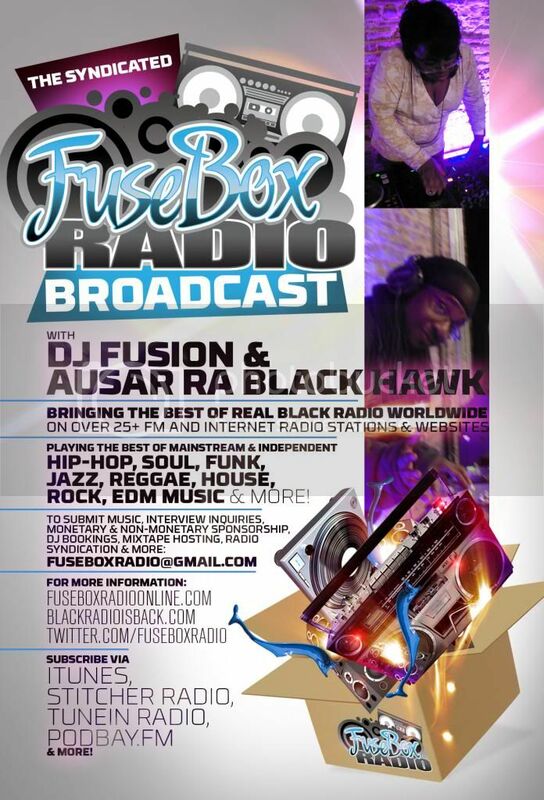 Good Evening FuseBox Radio Broadcast and BlackRadioIsBack.com folks! We're getting into the big time season for tons of back-to-back music conferences here in the U.S. and to jump things off into the late summer/early fall period is the sixth annual Coast 2 Coast Convention happening from August 29 - 31, 2014. Their Labor Day weekend trend has been a stream of panels full of solid music industry information that goes beyond the surface, showcases, parties and more in Miami, Florida. 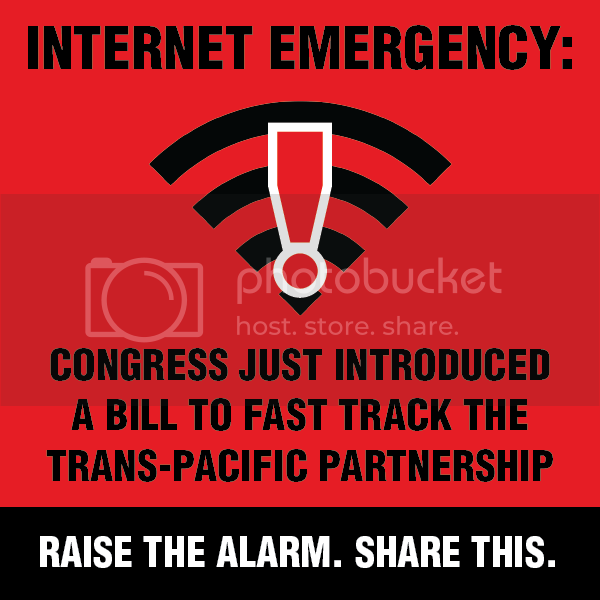 Check out the press release, links and flyers below for more information! 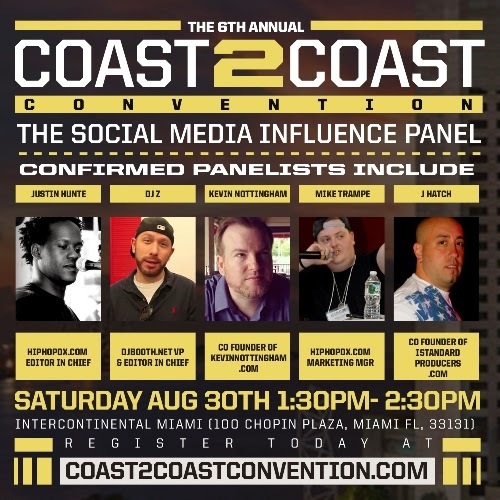 2014 Coast 2 Coast Convention Bridges the Music Gap Between Independent Artists and Veteran Gatekeepers with Industry Panels, Showcases, and More. 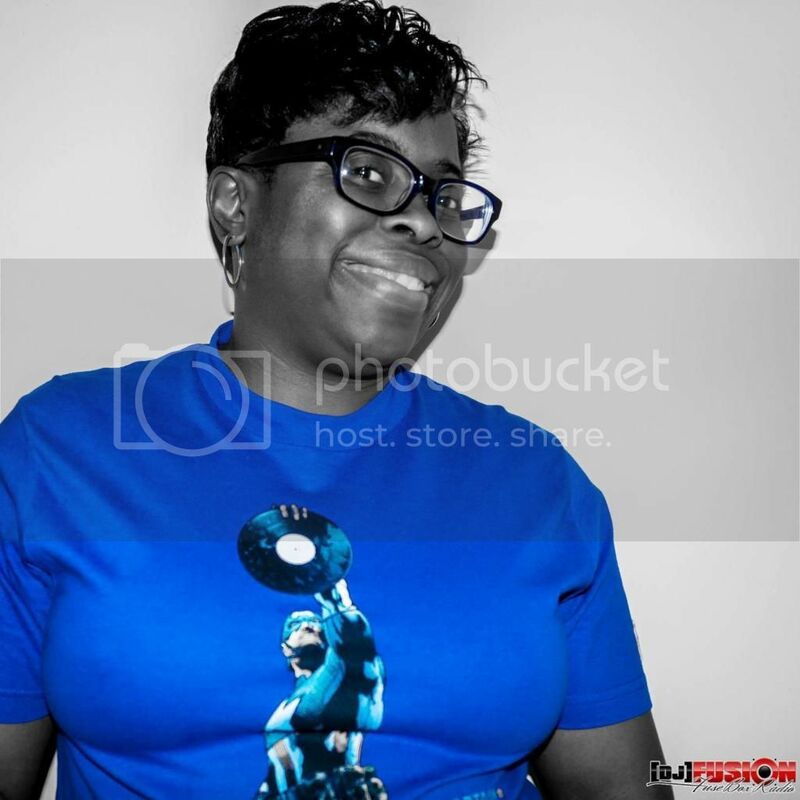 Miami is the backdrop on Labor Day Weekend for the 6th Annual Coast 2 Coast Convention, bringing together DJs, A&R Rep’s, Artists, and Producers, among others. The 6th Annual Coast 2 Coast Convention will take place Labor Day Weekend, August 29th through September 1st, in Miami. The 4 day event will include Music Industry Panels, Club Parties, Showcases, Model Contests and the World Famous VIP Yacht Party! The convention will be located at the Intercontinental Miami, located at 100 Chopin Plaza, Miami, FL 33131. The Coast 2 Coast Convention is a professional music-industry networking event focusing on the new music industry. 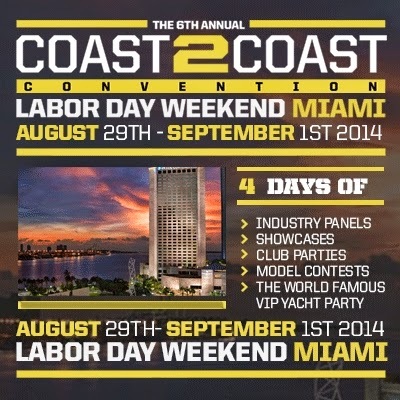 The convention, presented by Coast 2 Coast Mixtapes, will be a weekend-long series of events held in Miami, FL Labor Day Weekend 2014. The main panel events will feature top music industry professionals in every field. The after parties will span multiple Miami “hotspots” and feature a DJ Showcase to close out the event. Independent artists will have a chance to network and perform music for dozens of top music industry professionals with the winning artist hosting their own Coast 2 Coast Mixtape and cover of Coast 2 Coast Magazine. 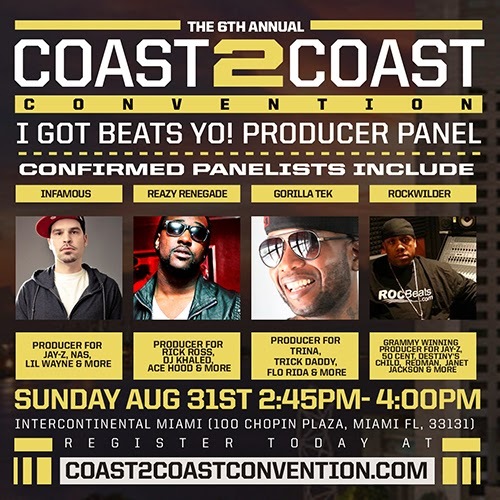 The panelists scheduled for the 6th annual Coast 2 Coast Convention will include, Grammy Winning, Multi Platinum Producer Rockwilder, Cool Running Djs’ Bigga Rankin, HipHopDx.com’s Justin Hunte, DJ Epps, DJ Nasty, and many more. The convention kicks off on Friday, August 29, with registration at The Intercontinental ‘Monster Chill Lounge’ Powered by Monster Energy, where convention goers will have the chance to network early and get charged up on some Monster Energy drinks. Later that night, the Coast 2 Coast Live Miami Show will take place at The Stage, located at 170 NE 38th St, Miami, FL 33137, where several artists will have the opportunity to showcase their talents in front of celebrity judges for a chance to win several career catapulting prizes. Saturday, August 30, will start off with a hand full of vendor presentations in the ‘Monster Chill Lounge’. Following the presentations, will be the Coast 2 Coast Interactive Industry Panels Day 1 consisting of a keynote speech, “The Social Media Influence Panel”, the “Social Media Group Exercise”, “Your Network is Your Net Worth Panel”, a “Networking Group Exercise”, the “Main Event Artist Showcase” and the “Official After Party” on South Beach. 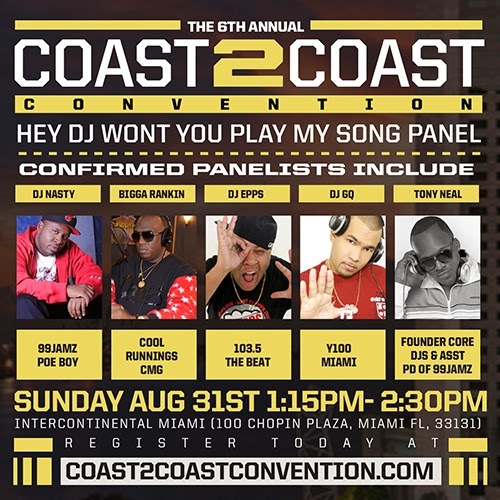 Sunday, August 31, is day 2 of the Coast 2 Coast Interactive Industry Panels, which will contain the “Hey DJ Won’t You Play My Song? Panel”, several “Critique My Single” sessions, the “I Got Beats Yo! Producer Panel”, the “Main Event Round 2 Artist Showcase”, and the “Coast 2 Coast DJ Experience”. Monday, September 1, concludes the convention with the “VIP Yacht Cruise and Coast 2 Coast Model Contest” on “The Biscayne Lady”. All VIPs will join Coast 2 Coast on the Yacht to relax on the last day of the 2014 Coast 2 Coast Convention, and enjoy a professional Model contest boasting some of the most beautiful women ever seen. For additional information and to purchase tickets for the 6th annual Coast 2 Coast Convention, visit http://www.coast2coastconvention.com.